A snap decision on the eve of enrolment has paid off well for occupational therapy student Harley Hayes. Last week Harley was recognised at the Bendigo Campus’ annual prize ceremony with the Lynne Cooper Bendigo Regional Occupational Therapy Award for outstanding academic and professional placement achievement. The fourth-year student enrolled in occupational therapy directly after completing VCE at Rochester Secondary College. 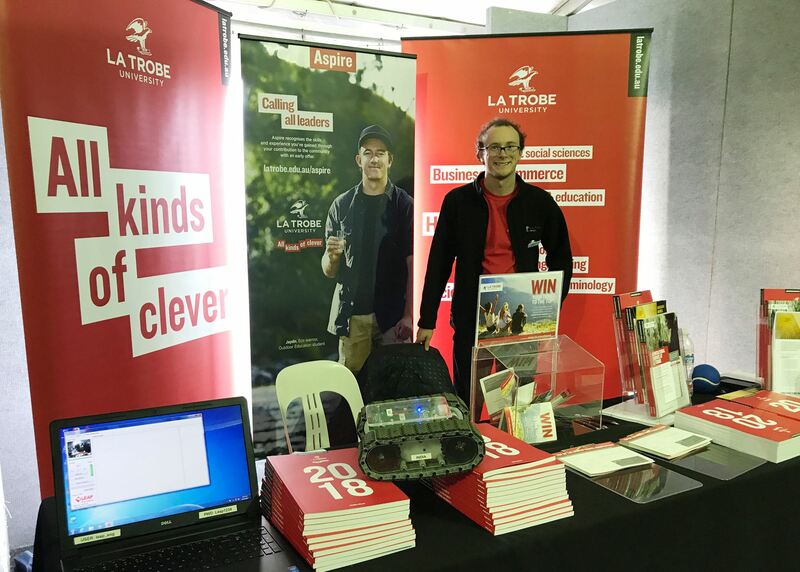 “Initially I wanted to study nutrition science at Deakin, then one night before transfers ended I decided to transfer to OT at La Trobe,” he said. The award is also for students who have promoted OT within the university and wider community. Harley has been vice president of the Bendigo Occupational Therapy Association, a Bendigo Student Association board member and president of the La Trobe Rural Health Club. Harley is now entering the last semester of his course and said he’s open as to what happens next. La Trobe University’s Bendigo Campus awarded over $100,000 to 86 students at its annual prize ceremony at Ulumbarra Theatre on Thursday, July 27. A host of industry and private donors ensured local students were recognised for their academic merit, personal achievements and the barriers that sometimes need to be overcome to attend uni.